By ED CONDRAN Correspondent Most New Jersey residents will never forget where they were when Hurricane Sandy rocked the Garden State with unprecedented force last month. 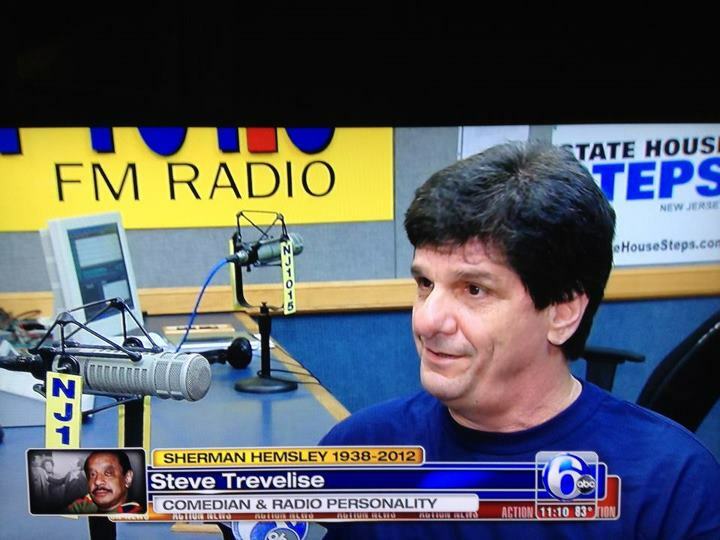 Newark native and Roosevelt resident Steve Trevelise was exactly where he wanted to be when Sandy ravaged his beloved home state. The evening host (7 to 11 p.m., Monday through Thursday) of New Jersey 101.5 FM (WKXW) was on the air reporting about the effects of “the Frankenstorm” and taking calls from fellow Garden Staters dealing with the effects of the historic system. “I felt like Walter Cronkite,” says Trevelise. “Most outlets were focusing on what was happening in New York. But people tuned in to our station because we are New Jersey. I had the privilege of letting people know what was happening and it was wonderful interacting with those that were calling in.” The animated Trevelise clearly enjoyed visiting with an eclectic group of listeners from throughout the state during an extraordinary night. Then again, he has a blast holding court during ordinary evenings as well. Trevelise, who owns a shore house in Sea Isle City, is a dynamo. Aside from working the night shift at New Jersey 101.5 and toiling at his club in Cherry Hill, he does the weekend overnight shifts and weekday updates at WIP. “It helps when you love what you do,” he says. “I enjoy what I do at WIP. I’m used to doing what I do there. It’s great there. It’s great to be at New Jersey 101.5 and I love what I do at Sarcasm. “The wonderful thing is that I get to do what I love and how many people get to say that? I believe that I’m in a unique situation. 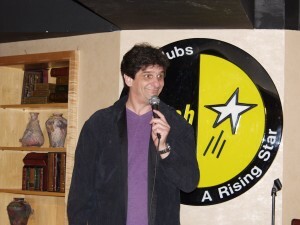 I’m incredibly fortunate.” Steve Trevelise’s Sarcasm Comedy Club features its comedy competition with Billy Terrell headlining at 7:30 and 9:30 p.m. Saturday at the venue at the Crowne Plaza Hotel at 2349 W. Marlton Pike/Route 70 East in Cherry Hill. Tickets: $20. Information: 856-382-6253.